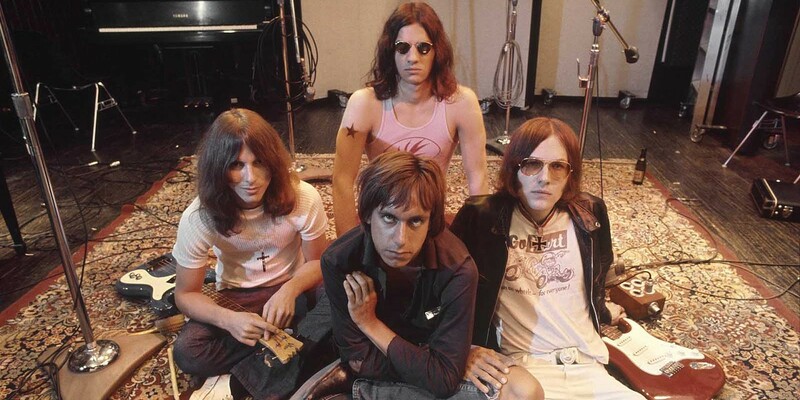 Legendary rock band The Stooges is the subject of the new documentary "Gimme Danger." Director Jim Jarmusch delivers a big, sloppy love letter to legendary punk band The Stooges with "Gimme Danger," a rollicking new documentary celebrating what the filmmaker dubs "the greatest rock & roll band ever." Headlined by James Osterberg -- better known as Iggy Pop -- and rounded out by brothers Ron and Scott Asheton on guitar and drums respectively, with Dave Alexander on bass, The Stooges raged from the late 60's into the early 1970's, tapping into the anarchic spirit of the era which Jarmusch argues the band helped usher in. Tracking linearly through the relatively brief seven year period during which The Stooges released three albums, Jarmusch brings considerable visual flair to the material, packing the film with generous helpings of archival clips, animations, and interviews with band members. Although each member gets their due, it's no surprise that Iggy remains the main focus. Even at age 69, he's a likeable and entertaining presence, as he delivers his sharp-tongued recollections and appraisals of the band's career. Aside from Iggy's commentary, the vintage 16mm footage is the best reason to see the film, capturing the lead singer's primal, animalistic charisma as he stomps, slivers, and dives around (and occasionally off) the stage. Jarmusch has a clear affection for his subject and that feeling is infectious, though following the pattern of other recent music documentaries, the film can sometimes be frustratingly low on context. The director mostly forgoes behind-the-scenes drama and backstage shenanigans to focus exclusively on the music. This isn't a bad thing at all (and sets it apart from recent music doc like "Amy" and "What Happened, Miss Simone? "), but I would have loved to see a few interviews with later punk musicians to help cement the band's legacy for those who don't already consider themselves fans. Viewers like me, with only a cursory knowledge of the band's history and discography, will likely be left feeling inspired to dig deeper into Iggy and The Stooges catalog.